I have been a mom for over 20 years now and, if there is one thing I can certainly attest to, it is fact that most kids adore snacks! It doesn't matter if we're on the go, in the car, on the bus, in the store or out to a function - snacks just make everything that little bit better and one brand that has stuck with us over the years is Gerber. One of our favorite go-to snacks right now is a baked snack made from delicious (and nutritious) navy beans, called Gerber® Lil’ Beanies. They were an instant favorite for us because, apart from being a winner in taste, they come in a container small enough to carry in my purse and with a design that keeps them fresh and tasteful. My two youngest children and I are always out on the bus, or off on an adventure somewhere and my bag is like the carpet bag in Mary Poppins, which appears to contain everything but the kitchen sink, and then maybe the kitchen sink as well! There are always snacks in there and some get squashed or rattled around but that Gerber® Lil’ Beanies container keeps the snacks from getting smushed so they survive wherever we go. Perfect! 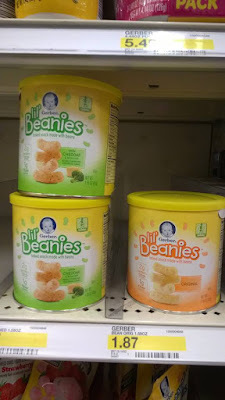 Gerber® Lil’ Beanies is one baked snack I don't mind purchasing because they aren't loaded with GMOs and they are a hit with the kids. I also like that right now, you can save $0.75 with a rebate, which you can find HERE, too! 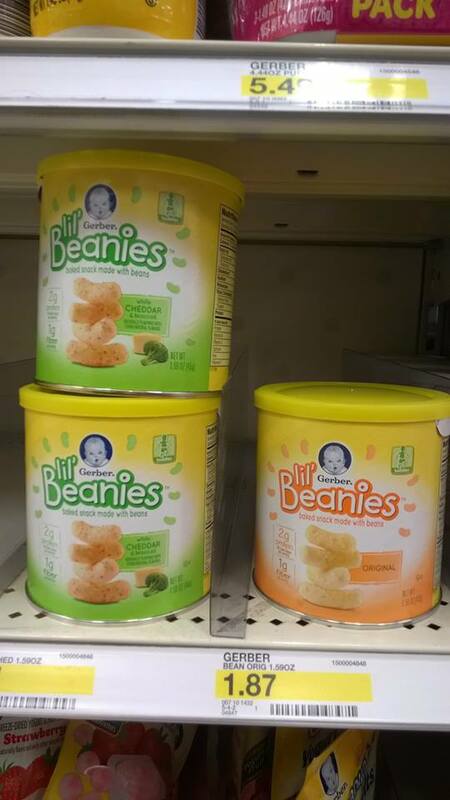 Check Gerber® Lil’ Beanies out at a Target near you, and let me know what you think! Big thumbs up, here! Follow the conversation on social media with #GerberWinWin! These sound intriguing! How is the protein content? As a vegetarian and constant dieter, I struggle to get enough protein, so I eat a lot of homemade roasted chickpea for snacks. I wish I could find something like this for adults in Denmark. That's a nice savings! 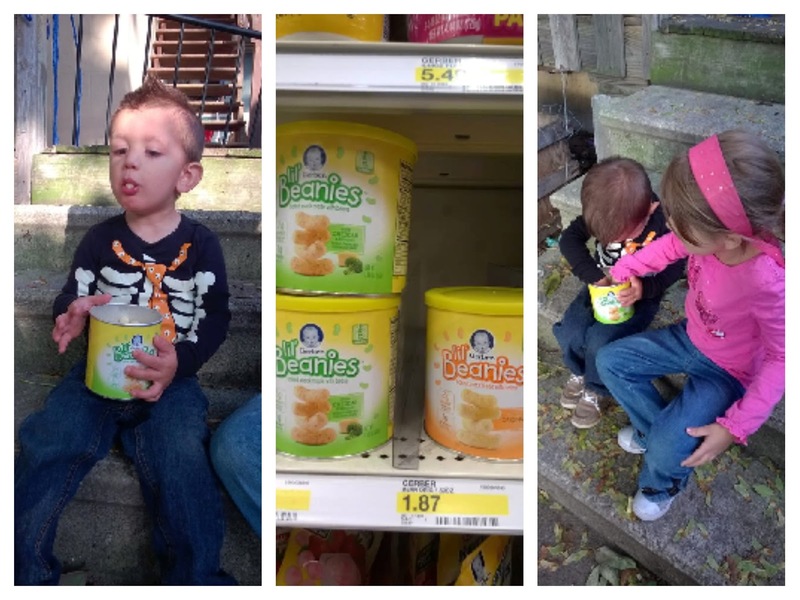 Baby and toddler foods are so expensive, so I LOVE this! I also love these little snack sized pieces for the little ones. When my kids were young, their snacks consisted of Cheerios in a Ziploc baggie. I've seen these in the store and they're healthier than the grownup version of these puff type snacks. Anytime you can find a healthy snack for a child, it's a good thing. Thank you for sharing. I have to look for these in the store! I love that there is a rebate also! This mom always love to safe on snacks for my kiddos! I love that they are snack sized! These look delicious...even for bigger kids! 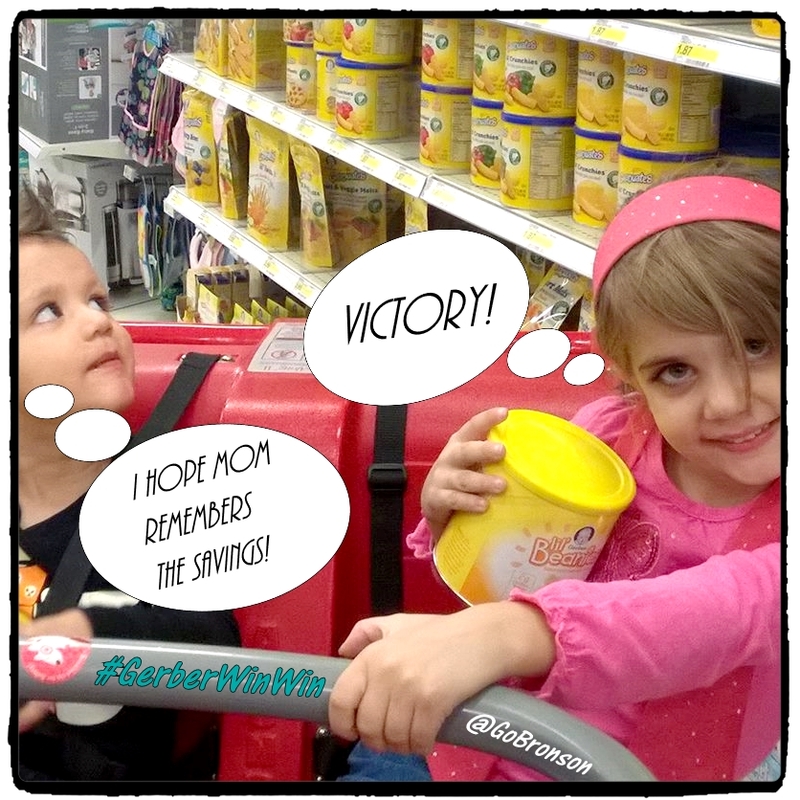 My kids are older, but I always loved Gerber snacks when they were littles! Love that there's a nice savings on these. I confess to being one of those moms who used snacks to entertain the kids while we were out running errands. They always guaranteed that I would have a few moments of somewhat quiet. Gerber snacks never disappoint! I used a lot of these Gerber products when my daughter was little. I didn't know about this one but I bet she would have loved it. I will have to remember this for when I am babysitting the little ones, I know they would love this! My husband is from Italy and we go back there very summer. When his cousin's children were babies they used to beg us to bring specific Gerber products to them...their favourite was the sweet potato puffs! Had you not shown pictures of older kids eating these snacks, I would have just assumed Gerber products were only for babies. My how the snack industry and kids products have grown since my 21 and 24 were young. I always trusted Gerber products and I can see that they are still practicing good business practices, healthy ones. I am familiar with Gerber but only for baby food. That's great they offer healthy snacks too for the whole family. I have to find this brand to our local store and try it. Snacks like these were my life savers when my Kiddies were younger. I could not leave the house without them! My Kiddies loved the taste and I loved that they were still a healthy option!